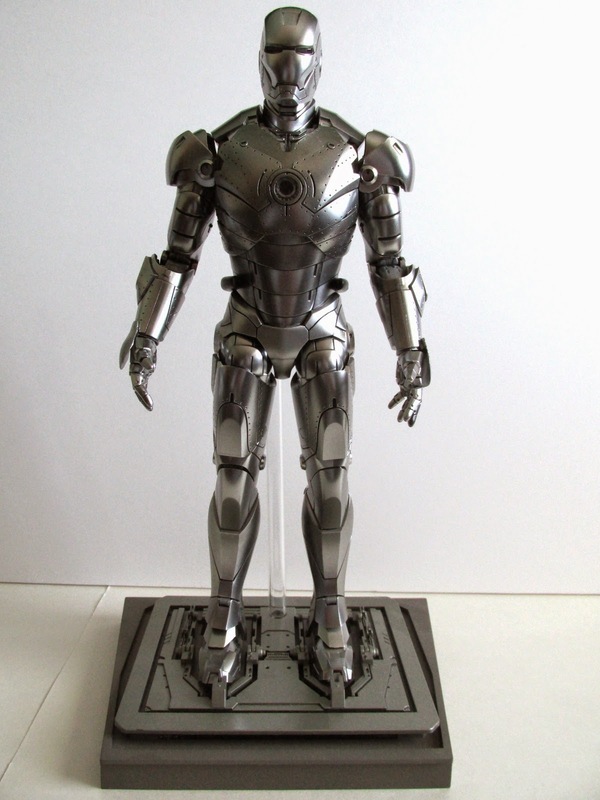 The Age of Ultron is almost upon us...which can only mean more Iron Man figures. 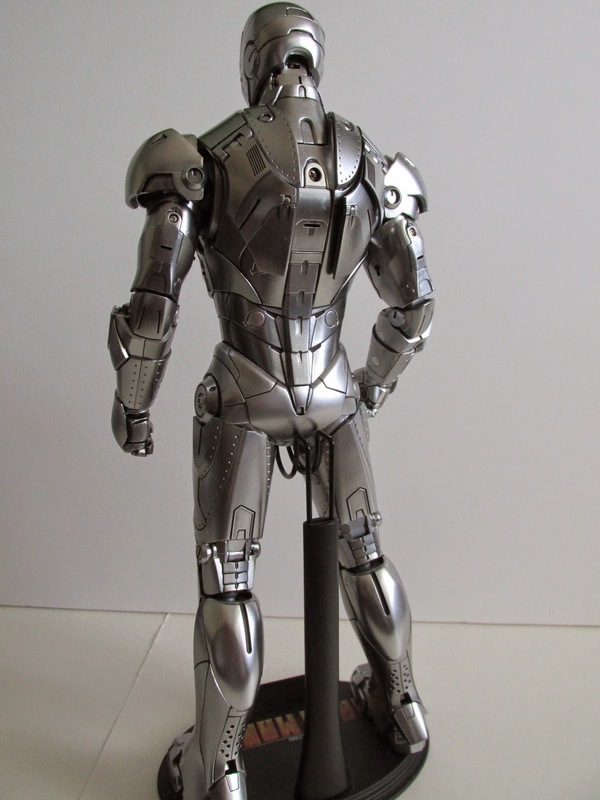 Before the wave of new Iron Man and Age of Ultron related merchandise hits the world in full force, I figure it would be interesting to look back at the past with the Iron Man 2 Mark II Armor Unleashed Version from Hot Toys. 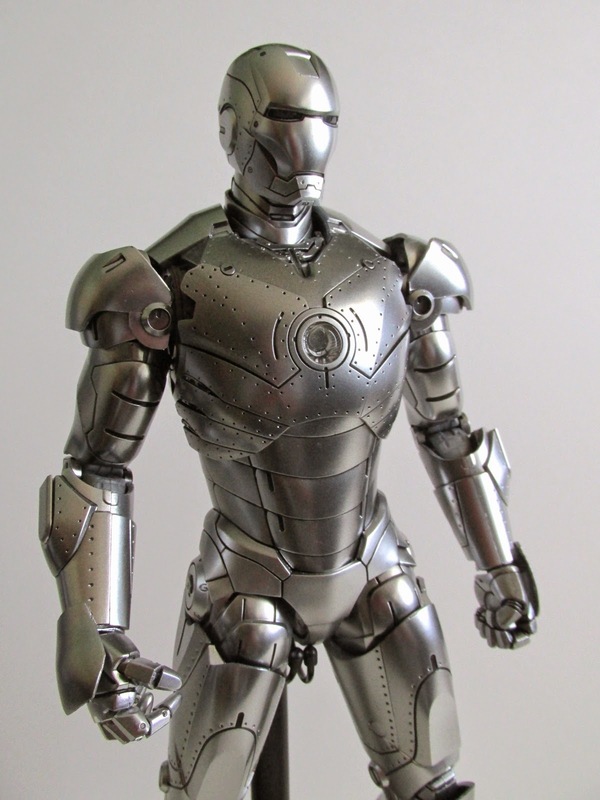 This figure was the second iteration of this armor with the first one being made for the first Iron Man. 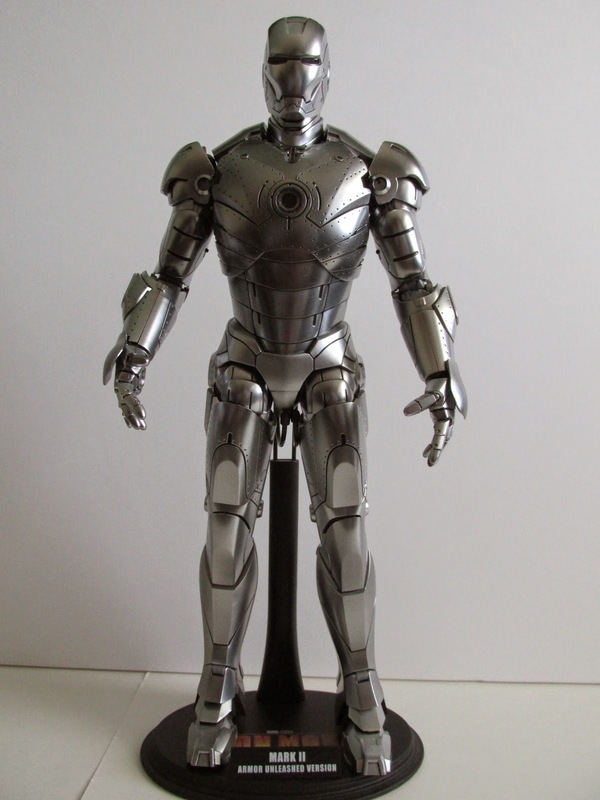 Unlike the previous release, this version has the ability to show off the endoskeleton of the armor and features a Don Cheadle head rather than Robert Downey Jr. 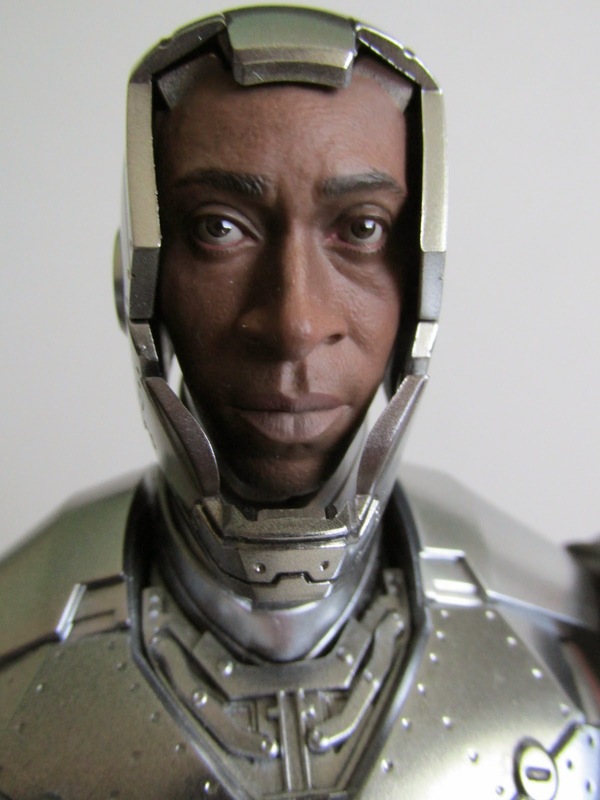 The purpose of this release was to reenact the autopsy scene in Iron Man 2 when Rhodey hijacks the Mark II and brings it to the U. S. government. At this point in time, Hot Toys was starting to refine their ability to detail and this release proves just that....both good and bad. The paint job on this figure still holds to this day, and I'm loving the shine that this figure still has. 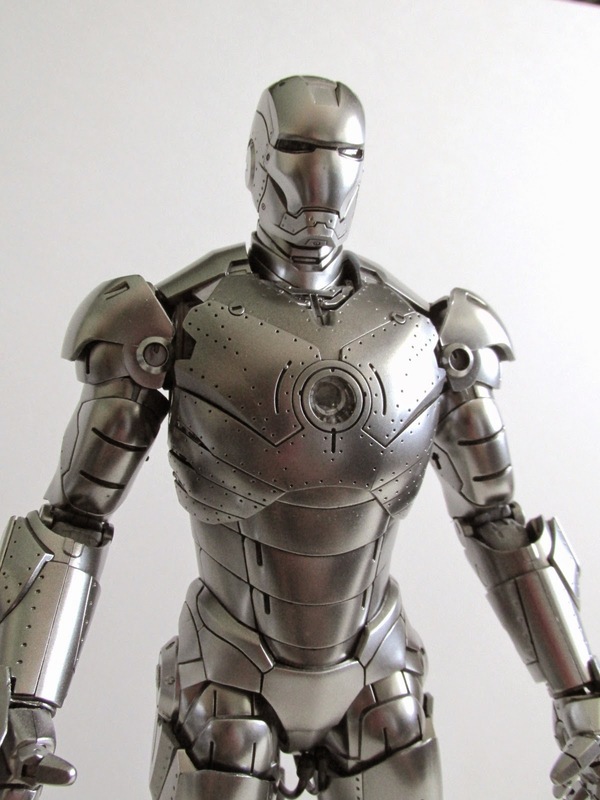 At every angle this figure looks amazing and the mix of dull and glossy silver paint helps to bring this figure to life. The downside to all of this...well this figure has terrible articulation. 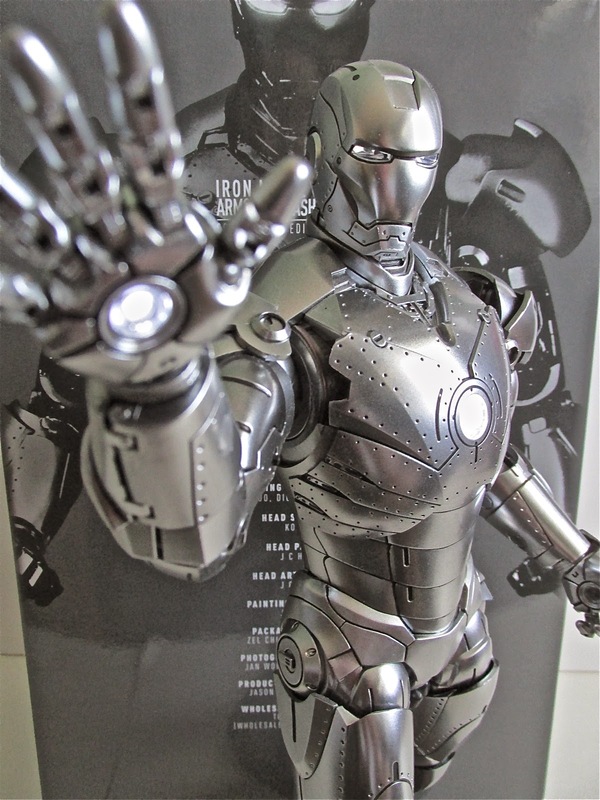 We are spoiled now a days with recent Iron Man releases, but back then this was the pinnacle of figures. People did complain about not being able to pull off repulsor blast poses, but it was still passable. The arms and legs have a tough time moving, and the head can barely move up and side to side. I feel the arms and legs are hard to move mostly because this figure is pretty delicate. The intricate gears and parts on the armor are quite small and one actually broke on the leg for me. Accessories wise he comes with Don Cheadle head, empty helmet, two face plates, endoskeleton legs, autopsy table, standard base, hall of armor base, and a pair of articulated hands. If you got the exclusive version then you got a hologram hand that you can put on Tony Stark. I did not get this version and so missed out on this. The fun part of this armor is exposing his endoskeleton on his chest, thighs, legs, and biceps. The gears and pistons are quite amazing on these parts and are still great to look at. I didn't put together the autopsy table because its just a pain to put back and is not how I have been displaying him. All in all this is a great figure...minus the articulation issues. He still looks great after four years and, of course, is necessary to complete the hall of armors. If a die cast ever comes out of this figure and you don't have it, then I would for sure jump on that.